A drink may never taste better than when sipped under open skies, high above the noise and chaos of the city streets. In a place like Ho Chi Minh City, brimming with skyscrapers, you can be picky. 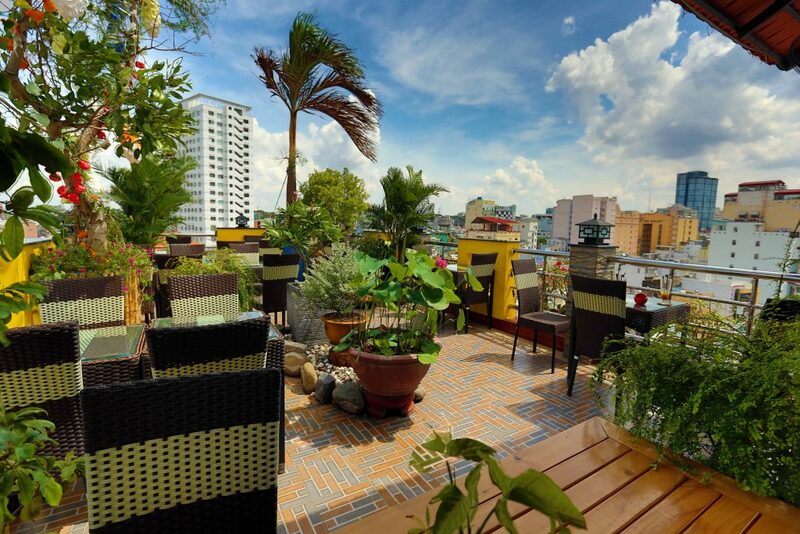 Here’s our guide to the best places in the Vietnamese city for drinks with breathtaking views. 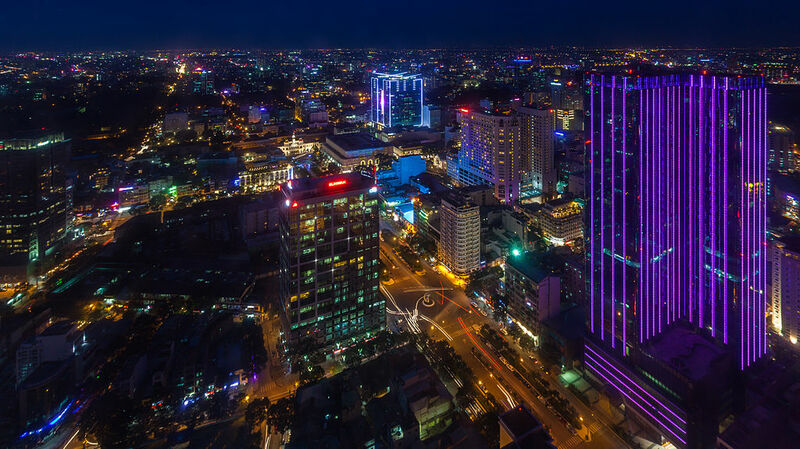 Feast your eyes on the vistas of the cityscape at the Bitexco Financial Tower, the tallest building in Ho Chi Minh City — 68 stories and 262-metres high. The EON Heli Bar on the 52nd floor offers an awe-inspiring 360-degree view of the city’s geography and dense population, an exciting backdrop for a drink or two from late afternoon til night. 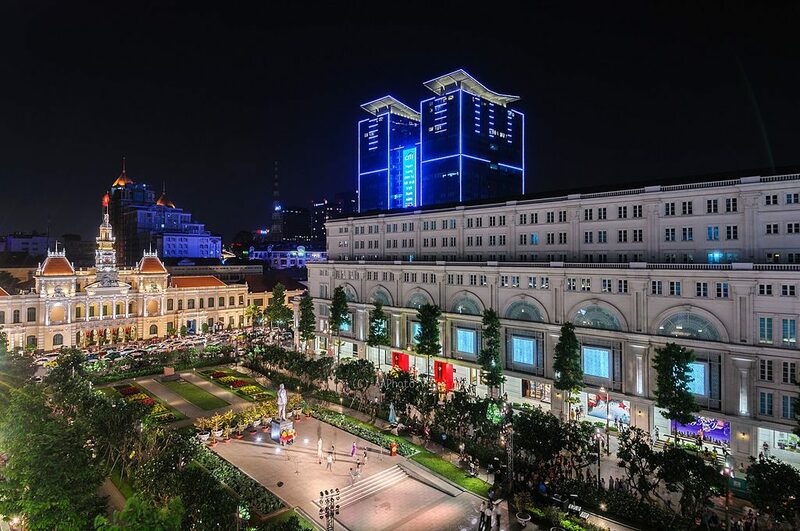 In the heart of Ho Chi Minh City, near Saigon Opera House, this is a great place for soaking up the atmosphere. The building housed the Australian Embassy during the Vietnam War and served as a communications hub for foreign correspondents. 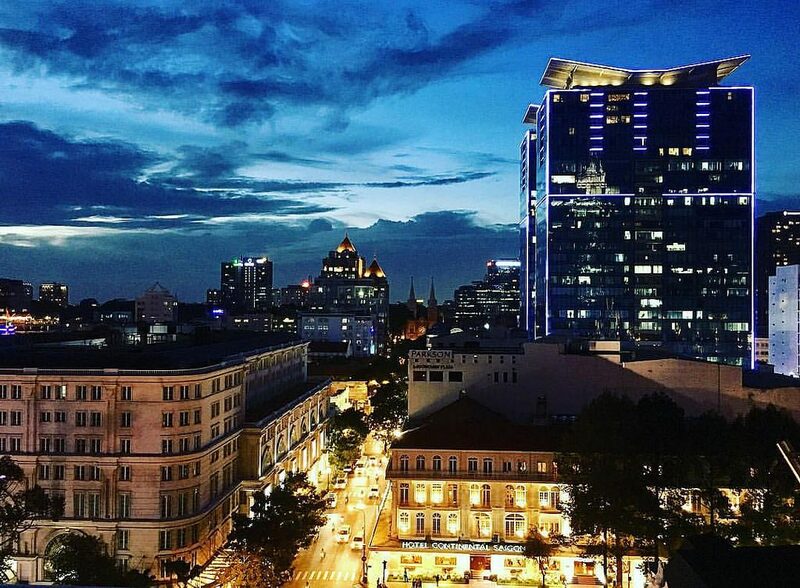 Enjoy a cocktail while appreciating the stunning views along Dong Khoi street over Saigon Notre Dame to Continental Hotel. 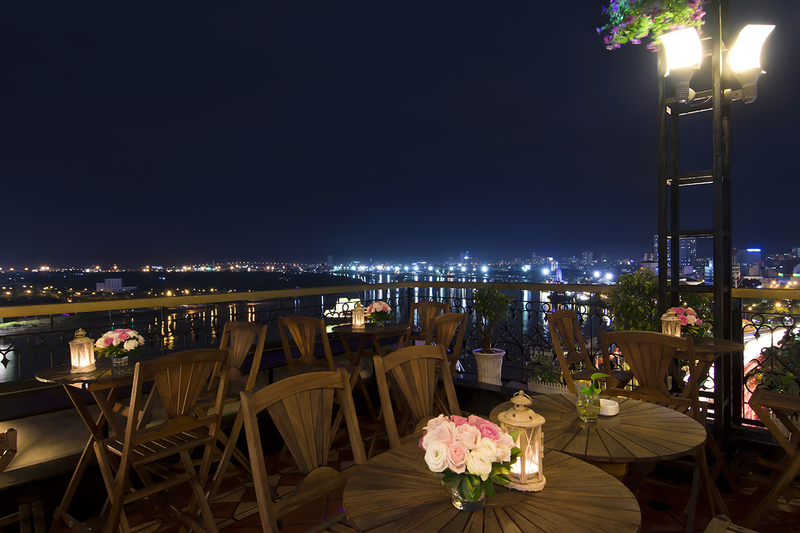 On the fifth floor of Hotel Majestic, Breeze Sky Bar is not as high as some rooftop bars, but it faces the enchanting Saigon River. Built in 1925, this grand building is an old French colonial-era hotel, like the Caravelle Hotel and Rex Hotel. Sunset is the best time to enjoy a cocktail here, as you can enjoy the colours deepening across the river. Get here early for a high stool next to the window to enjoy fantastic views of the city’s skyline as it’s getting dark. It’s well worth visiting one of the highest rooftop bars to watch the city that never sleeps from this vantage point. Don’t let the name fool you. 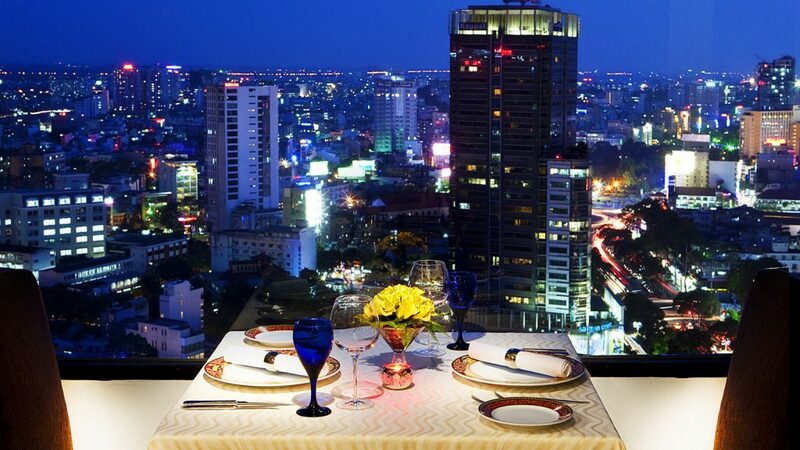 Perch on one of the stools that look out across Nguyen Hue Avenue and you are practically eye-to-eye with the Bitexco Financial Tower. This cozy bar offers a wide selection of beer and cocktails, as well as live music and a party atmosphere. 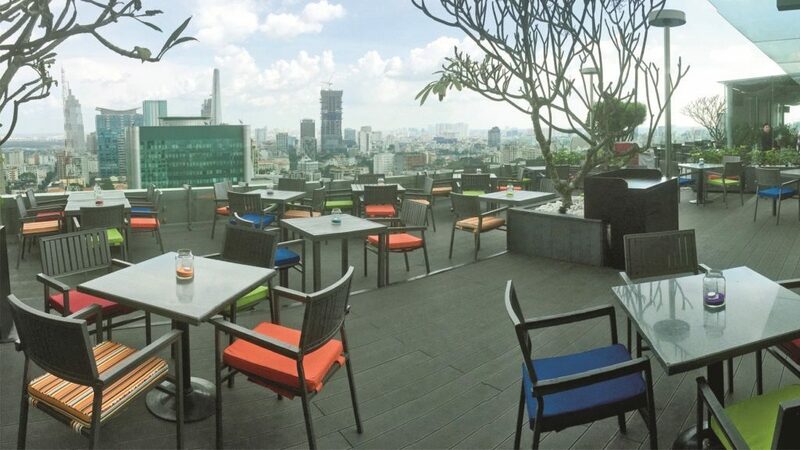 No newcomer to the rooftop bar scene in Ho Chi Minh City, this place is a good option for anyone looking for spectacular views over the Bitexco Tower and Ben Thanh Market. Enjoy a sip and enjoy the glowing rush of traffic by night. This open-air wooden terrace at the top of Centec Tower is perfect for taking in the panoramic view over the Reunification Park and many other landmarks. It provides good ambiance with contemporary decor. An added bonus is that it’s rarely packed with tourists. Feeling the need to escape the heat and hustle of Bui Vien backpackers’ area without even leaving the street? Climb to the roof and you are high above the tourist hub, eye-to-eye with the Bitexco Tower. This is definitely the best budget rooftop bar, selling beer for $1 and a cocktails for $2. Sit back with a drink and enjoy watching young crowds mingle below or simply soak up the lovely lantern-lit ambiance by night.